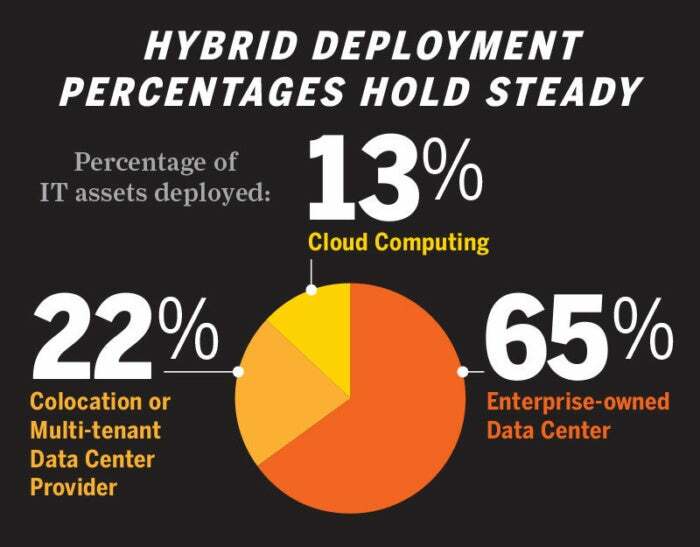 There’s a cloud option out there for almost every IT workload, but a survey from the Uptime Institute indicates that about two-thirds of enterprise computing is still done in company-owned data centers. The study, which polled more than 1,000 IT professionals and data center workers via email earlier this year, found that 65% of enterprise workloads were running in data centers owned or operated by those enterprises, and that that number is just about the same as it was in 2014. 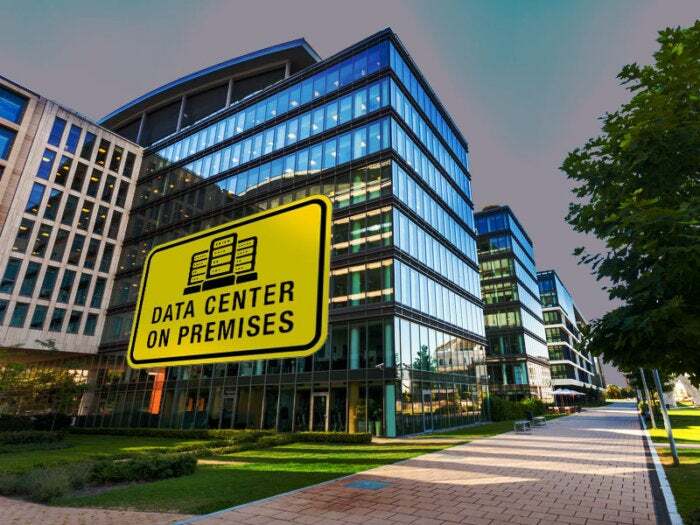 A total of 22% of workloads were being run on collocated or multi-tenant data centers, while 13% were in the cloud, according to the Uptime Institute’s figures. The last number, unsurprisingly, is set to rise in the near future, as a third of respondents said that they planned to meet increased data center demands by moving workloads to the cloud. But the bigger capacity planning priority appears to be server consolidation, not a move to the cloud, as 55% of IT managers said they were working on this, and physical infrastructure upgrades and new data center construction were also high priorities among respondents. According to Matt Stansberry, senior director of content and publications for the Uptime Institute, this still reflects a changing industry. “Increased performance at the processor level, further expansion of server virtualization, and the adoption of cloud computing have all created an IT foundation that differs greatly from those seen just five years ago,” he said in a statement. Part of the problem may be that cloud planning isn’t something many enterprises have been doing effectively – 70% of those polled said that their existing practices for evaluating collocation and cloud providers could be improved. Nevertheless, the overall impact of recent trends is that well over half – 60% - of organizations surveyed said that data center footprints are either flat or shrinking.